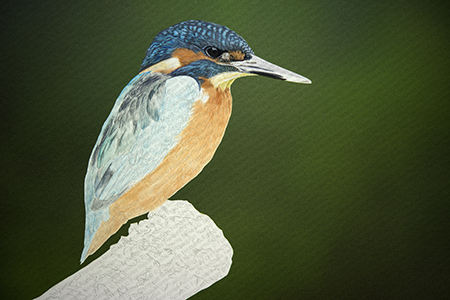 With the chance of great days, we observed the kingfisher, two unforgettable days that allowed me to study enough to immortalized. 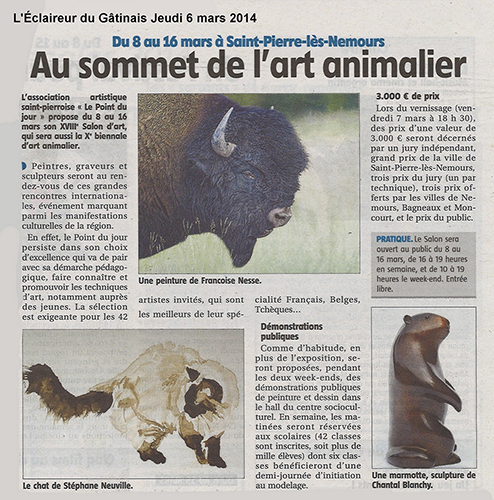 Publication in the newspaper for the exhibition Saint-Pierre-lès-Nemours it is always nice. 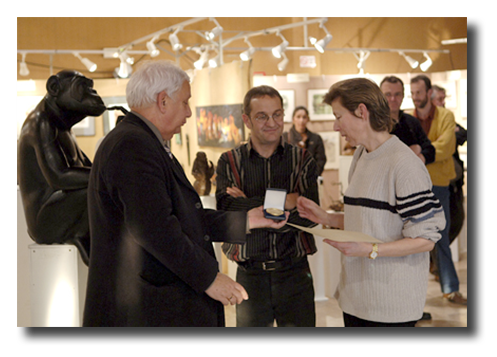 Very nice surprise at the end of exposure, where I am being honored by the public. 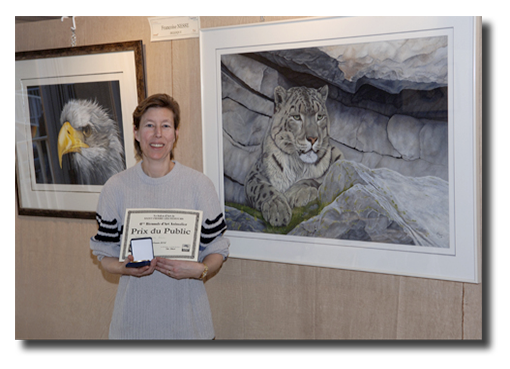 It is indeed gratifying to receive such an award beyond its borders, THANK YOU!